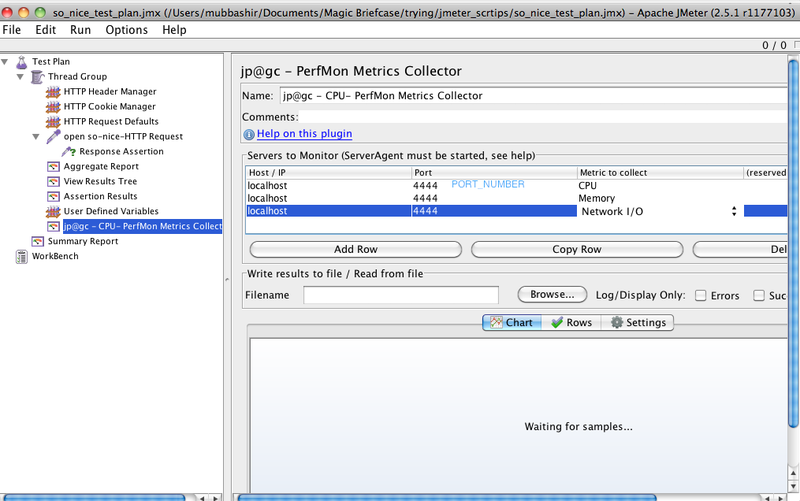 Like may I needed some server side statistics while running load tests earlier I had couple of Ruby scripts which were gathering my required information on server as CSV file I do have webmin configured on the server but I was still looking for something which is bit more tightly coupled with one of the most famous (easy to use) tool for load testing JMeter. It's very useful for all. Nice explanation could you please tell me units of resources measured with this plug-in? @Manu it depends upon the matrix you are collecting for example for CPU it is % usage, for memory it's MB for SWAP it's pages per sec. 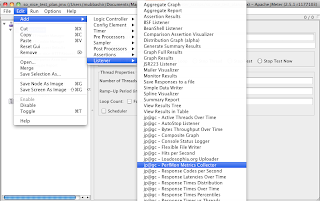 There is another option to do after-run graphs generation - a plugin for JMeter http://blazemeter.com/blazemeters-plug-jmeter. 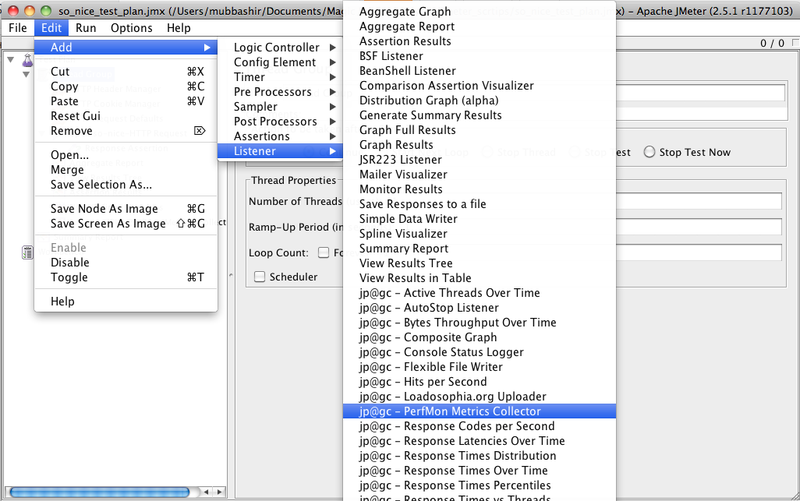 From JMeter perspective it's yet another listener, after test it uploads results to the cloud where you can see aggregate load report, professional looking graphs and do results comparison across different test runs. 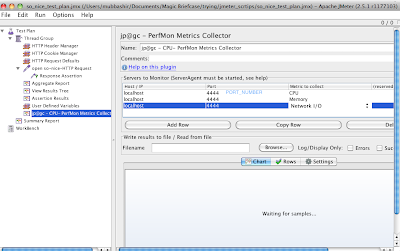 Well, I think your blog is pretty good and have lots of useful information JMeter Plugins- PerfMon Server Agent. Keep it up!